how to to analyze a photo like a pro, saving you hours of frustration. WHY you might want to move specific sliders, instead of just following recipes. what the sliders are doing behind the scenes. 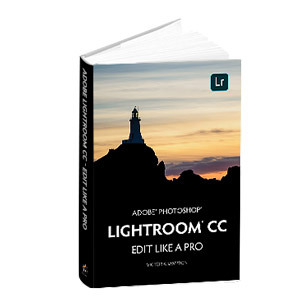 The book is based on the cloud-native Lightroom CC desktop and mobile apps, but the principles also apply to Lightroom 6 and Lightroom Classic. The sliders are arranged into slightly different panels, but there's an included PDF that shows you where to find them in Lightroom Classic/6. Fixing sun spots on a detailed photo? I have been scouring the web for YouTube tutorials and am still unable to figure out how best to go about fixing this issue. I've included the image I'm trying to adjust so you can see what I've working with. I have tried the healing brush, levels adjustments, etc. Ah! Any tips would be appreciated. A levels adjustment will not work, because that is a global adjustment. The healing brush is also not ideal for this, because it tries to maintain the underlaying brightness and that is exactly the problem you want to remove. If you want to try to solve this in Lightroom (this is a Lightroom forum), then use the adjustment brush and set it to a very low flow, so you can build it up slowly. Set a small (negative) exposure adjustment to begin with. The nice thing about the brush is that you can set/change its effect after you applied the brush strokes, so you can play with the sliders to try to get it to work. Another software like Paintshop would probably be more suitable for this problem. In Lightroom - if it works at all - it will need a lot of elbow-grease. But I quite like a challenge. So if you would like to upload the photo in it's original format (RAW, if possible) somewhere, I would be happy to give it a try in Lightroom. And if I end up with something usable I'd try to describe what I did. Thanks, Johan! When I try that, I can get the inside of the spot to match, but then I am left with a yellow colored octagon still surrounding it. Andreas, I would love to see if you know how to tackle this! I don't have a RAW version (rookie mistake, I am learning...). This is the original photo, best quality I have. Thanks, Johan! When I try that, I can get the inside of the spot to match, but then I am left with a yellow colored octagon still surrounding it. That is why you have to build up the brushed area, so that you remove that surrounding part too. It won't be easy though (and I would probably do it in Photoshop myself). I'm not sure yet, if that tiny format makes it more difficult or maybe even easier, but I'll see tonight, when I get home. If this regularly occurs investing in a lens hood would be a better choice. If it is a one off, if you can have access to photoshop, there are a few tutorials hanging around if you look for sunspot and photoshop. One difficult part is to get the borders of that mask right by constant erasing and extending with different "feather" settings. I had to leave out a crescent moon of yellow at the lower left corner, which would have turned to dark and therefore had to be treated differently. This and to smoothen things down needed about another 15 adjustment brushes with a lot of fiddling. (According to your profile you're using Lr 4. I think adjustment brushes had less possible settings then (I think no colour temperature, for example), so that won't help either. I am not the original poster, but i think that is quite an impressive result. That is better than anything I managed!! Crazy how bothersome one little sunspot can be. Normally not an issue for me, but might be worth the lens hood for the trouble next time. Thank you everyone for your help and tips! It's indeed nice, but a lot of work to do this in Lightroom. In Photoshop this is much easier, because you can use a nice trick that Lightroom does not have. Use the Clone Stamp on a new layer (sample all layers), and set the layer mode to Color. In that mode, you only clone color, not detail. Now simply clone the spot, using another part of the face as source. After that, you may have to darken the spot a little as well (that's why it's better to clone in a new layer, rather than use the clone tool itself in Color mode).